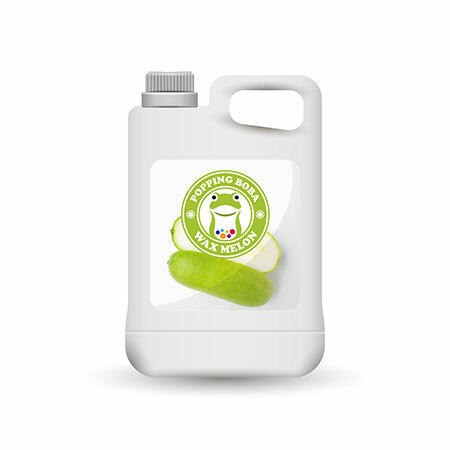 Sunnysyrup Food Co., Ltd. is the leading manufacturer, supplier and exporter of Winter Melon Syrup in Taiwan which are designed using high grade raw material that is sourced from our respected vendor base, having years of experience in the market. In addition to manufacturing them in standard dimensions, we also offer our customers the option of customizing these products as per their specific requirements. Our produce is available at very reasonable prices. this syrup is suitable for adding water or tea to dilute and there are many customers would use it to soak tapioca pearls or to add crushed ice to make wintermelon smoothies. Waxmelon Flavor Conc. Juice is made from waxmelon juice, suitable for various kinds of drinks and tea beverages, this product is supposed to be diluted with water or tea before use. Fruity Tea and flavored milk tea series are welcomed to use this product, and if massive purchase and customization are required, we are able to adjust the sweetness, color and density.
. Therefore, we are sincerely looking forward to bringing long-term cooperation with both state-owned and foreign enterprises.